Minimum quantity for "Proceedings of Second U.S.-Japan Workshop on Improvement of Building Seismic Design and Construction Practices" is 1. 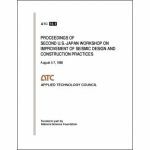 Minimum quantity for "Proceedings of Third U.S.-Japan Workshop on Improvement of Building Structural Design and Construction Practices" is 1. 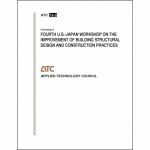 Minimum quantity for "Proceedings of Fourth U.S.-Japan Workshop on Improvement of Building Structural Design and Construction Practices" is 1. 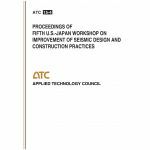 Minimum quantity for "Proceedings of Fifth U.S.-Japan Workshop on Improvement of Building Structural Design and Construction Practices" is 1. Minimum quantity for "Proceedings of a Seminar and Workshop on Base Isolation and Passive Energy Dissipation" is 1. Minimum quantity for "Proceedings of Seminar on Seismic Isolation, Passive Energy Dissipation and Active Control" is 1. 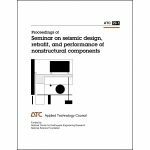 Minimum quantity for "Proceedings of Seminar on Seismic Design, Retrofit, and Performance of Nonstructural Components" is 1. 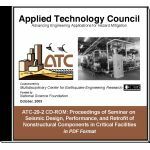 Minimum quantity for "Proceedings: Seminar on Seismic Design, Performance, and Retrofit of Nonstructural Components in Critical Facilities" is 1. 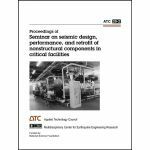 Minimum quantity for "Proceedings of Seminar on Seismic Design, Performance, and Retrofit of Nonstructural Components in Critical Facilities" is 1. 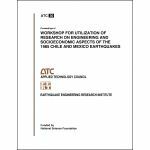 Minimum quantity for "Proceedings of Workshop for Utilization of Research on Engineering and Socioeconomic Aspects of the 1985 Chile and Mexico Earthquakes" is 1. 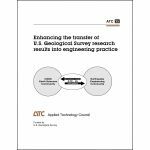 Minimum quantity for "Enhancing the Transfer of U.S. Geological Survey Research Results into Engineering Practice" is 1.